“The 13th Hex” is now available! 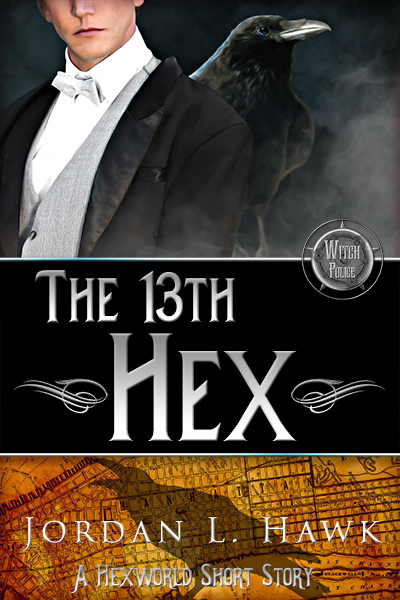 “The 13th Hex” is now available outside of the Charmed & Dangerous anthology. I’ve reissued it to kick off my all-new Hexworld series, which starts with Hexbreaker next month, and I can’t wait to share this new series with you! Dominic Kopecky dreamed of becoming a member of New York’s Metropolitan Witch Police—a dream dashed when he failed the test for magical aptitude. Now he spends his days drawing the hexes the MWP relies on for their investigations. But when a murder by patent hex brings crow familiar Rook to his desk, Dominic can’t resist the chance to experience magic. And as the heat grows between Dominic and Rook, so does the danger. Because the case has been declared closed—and someone is willing to kill to keep it that way. The story is wonderful and the cover is amazing. I can’t wait for the next book in this series.